Upon arrival at Delhi International Airport meet our representative and get transferred to the hotel. Check-in to hotel. Have dinner & stay overnight at hotel. Morning proceed for a full sightseeing tour of Old Delhi which covers Jama Masjid , Red Fort & Raj Ghats and drive past President’s House and India Gate . 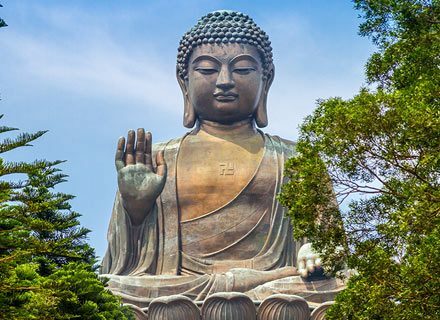 Also visit New Delhi local sightseeing like Qutub Minar and Lotus Temple (Bahai Temple) . If have time enjoy evening Light and Sound Show in Akshardham (World’s Largest Temple) . Have dinner and night stay at hotel in Delhi. After breakfast, drive to Jaipur . En-route visit Neemrana Fort , after that continue your drive to Jaipur. Check-in to hotel. Evening is free time to enjoy the city atmosphere of Pink City . Stay overnight at Jaipur. 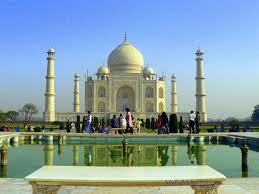 After Breakfast, visit for Jaipur city tour . 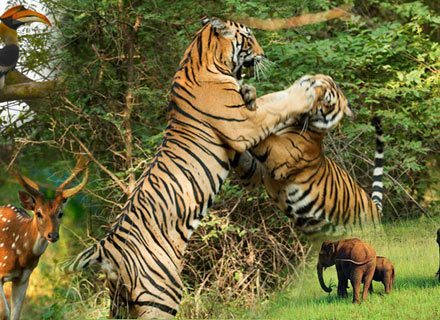 Start the tour with the Elephant Ride at Amber Fort followed by Hawa Mahal (Palace of Winds) , Jantar Mantar-Royal observatory , City Palace , Nawab Sahab Ki Haveli , Jai Mahal , Ram Niwas Garden and famous market - Johari Bazaar . After Lunch drive to Agra . On arrival in Agra check-in to hotel & stay overnight at Agra. 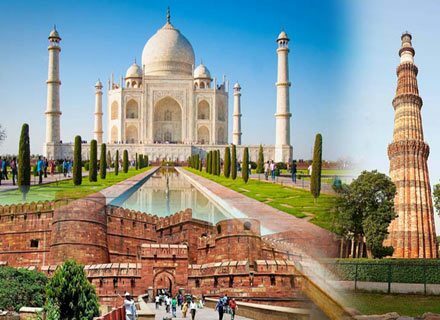 After breakfast, visit famous Wonder of World- Taj Mahal built by Mughal Emperor Shahjahan in 1630 to enshrine the mortal remains of his beloved queen Mumtaz Mahal. (Taj Mahal is closed on all Fridays). Also, visit UNESCO World heritage site Agra Fort dominated by red sand stone. Later, drive to Orchha . Check in to hotel. Have dinner and stay overnight in train. After breakfast, proceed for a Sightseeing Tour of Orchha . 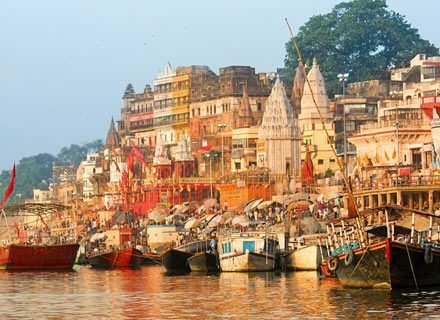 Visit opulent Jahangir Mahal followed by Orchha Fort and other examples of erstwhile opulence such as Raja Mahal and the Laxmi Narayan Temple well known for exquisite frescoes and mural paintings. Later, drive to Khajuraho. Check in to hotel. 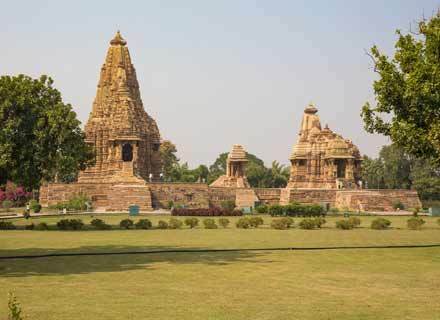 Have dinner and overnight stay in hotel in Khajuraho. 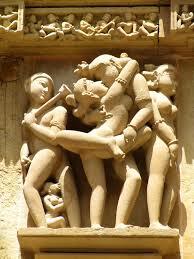 After breakfast visit Local sightseeing of Khajuraho . 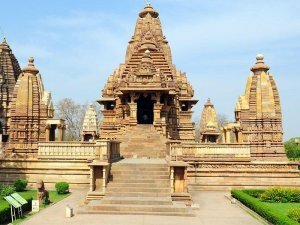 Explore Western Group of Temples at Khajuraho like Chaunsath Yogini Temple , Varaha Mandap , Lakshmana Temple , Kandariya Mahadev Temple , Devi Jagdambi Temple , Chitragupta Temple and Vishwanatha Temple . 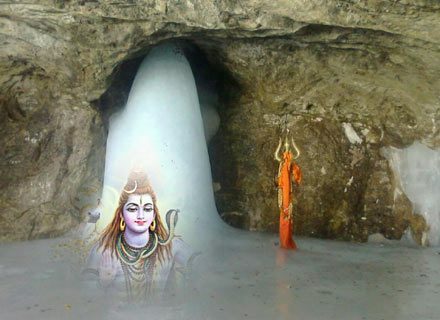 Later, visit Eastern Group of Temples like Bramha Temple, Vamana Temple and Javari Temple. 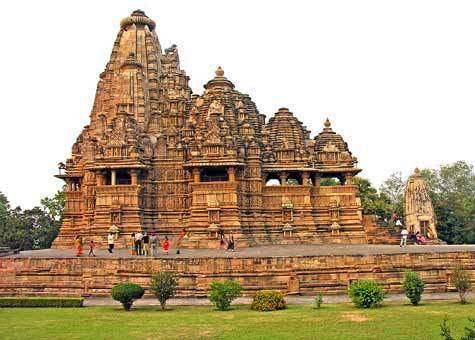 From western group of Temples a kilometer towards the east is the Khajursagar and the old village of Khajuraho. 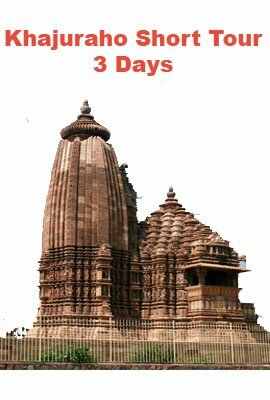 Later, visit Jain Temples at Khajuraho like Parshvanath Temple, Adinath Temple and Ghantai Temple. 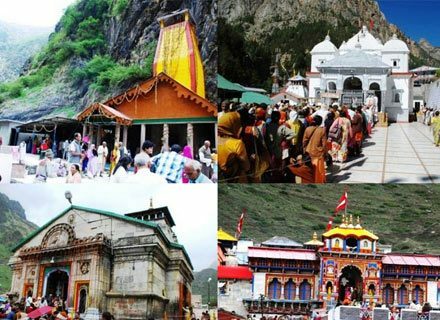 You will also visit South Eastern Group of Temples . Later, return to hotel for dinner and overnight stay in Khajuraho. 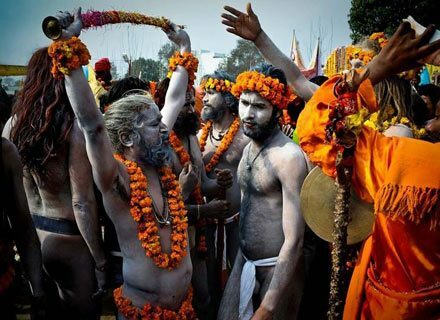 After breakfast, drop to Khajuraho Airport/Railway Station to catch flight for Delhi. 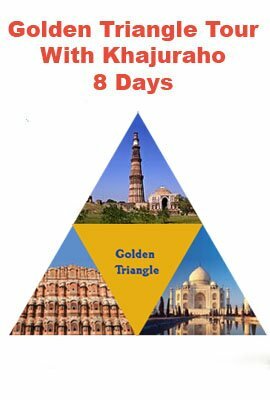 Return with pleasant memories of Golden Triangle Tour with Khajuraho & Orchha. Note : Get special discount offer from 10% to 40% on accommodation on each package booking. Offer valid till 30th Sept-2016 travel date.